The I-87037W provides 16 channels for digital output, each of which features photocouple isolation. 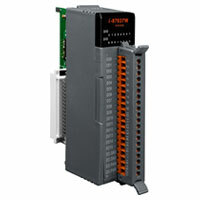 The I-87037W supports source type output with short circuit protection. 4 kV ESD protection and 3750 VDC intra-module isolation are also provided.